Last week I was in Moab, UT – an amazing place of beauty, adventure, and excitement. I was there participating in the Easter Jeep Safari – a haven for 4x4 enthusiasts of all kinds. It was an amazing event with some awesome vehicles. With my affinity for small vehicles, I was particularly fond of the Suzuki Samurais and Sidekicks (Vitara or Chevy Tracker). Both vehicles are very capable thanks to their solid rear axles (and solid front axles on the Samurai), selectable transfer cases, and low-range gears. However, none of these vehicles are available in the U.S. anymore. The Samurai disappeared from the U.S. market in 1995. Two-door Vitaras/Sidekicks/Trackers left the market in 2003. Now, the smallest true 4x4 is the Suzuki Grand Vitara, but it has a fully independent suspension – great for the highway, but not for off-roading. 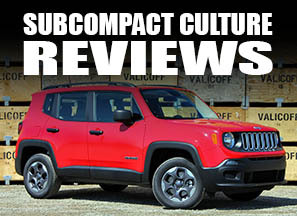 However, one needs not look to far to find compact and capable four-wheel drive vehicles that are still in existence. Simply look to Japan. 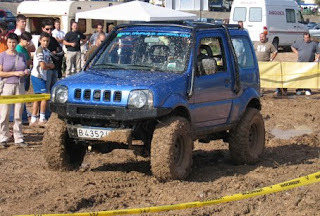 Suzuki still makes a small, four-wheeler in Japan called the Jimny. 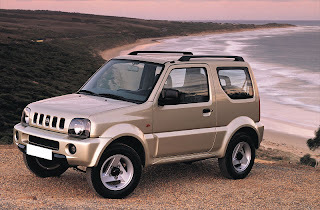 The Jimny is essentially the second-generation Samurai that we never got in the States. It's a very capable little brute, just like the Sammi. Also like the Sammi, it's pretty Spartan on the luxury. However, like their earlier brethren, they can also be modified to be extremely good off road (see below). A quick check of Craigslist.org, and one can see how much the venerable Samurais are still going for. Modified Samurais can run for nearly double their asking price in the 1980s when extensively modified. There's even a company called Lightning Conversions that sells 4.3-liter Vortech V-6 and 350 cubic-inch V-8 engines for the Samurai and Sidekick! Other companies, such as Mitsubishi, make tiny SUVs, such as the Pajero Mini (at left), which is considred a Kei car. The Pajaro Mini competes with the Jimny in Asia. Other than the Jeep Wrangler, there are no more two-door SUVs in the U.S. Not too long ago, there were a bunch for two-door, compact SUVs including Toyota's RAV4, Land Rover's Freelander, Isuzu's Amigo, Chevy's Blazer, Ford's Explorer, and more. Now, everything has four-doors. Both the Jimny and the Pajero Mini are very tiny, probably too tiny for the U.S. 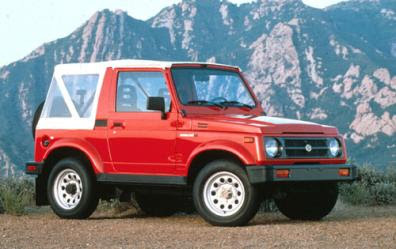 However, it'd be nice to have the option of another Tracker or Samurai-sized 4x4 for the U.S. I've been looking for something small and four wheel drive. In Arkansas we need something small enough to fit between and under trees. Maybe the gas prices will bring back some of these vehicles. Hi, Small 4x4 vehicles are the best options for family and also for tourist. 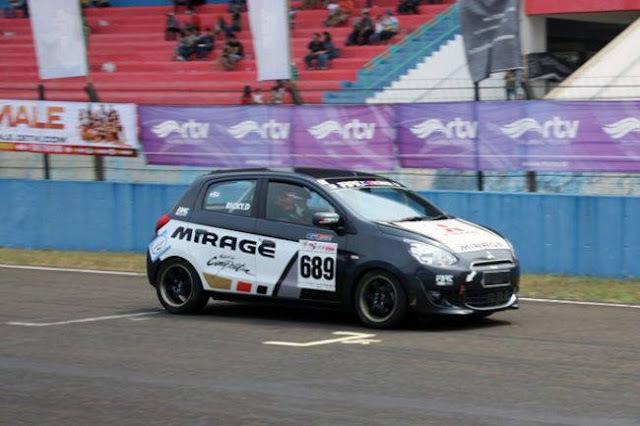 As this vehicle has huge capacity of engine and its interior designs looks so fancy . It's what the market will bear. Not enough people in N. America to make the small SUVs a viable option for the car companies. A damned shame. Over here, it's all "bigger is better". A 50's and 60's mentality that we need to get the hell out of or we'll sink for sure!